Kerala is blessed with lot of eternal beauties that must be seen everyone in their lifetime. Waterfalls are one of these beauties of Kerala that are considered as prime locations for many movie makers. At these locations, directors are assured to get the amazing scenes. 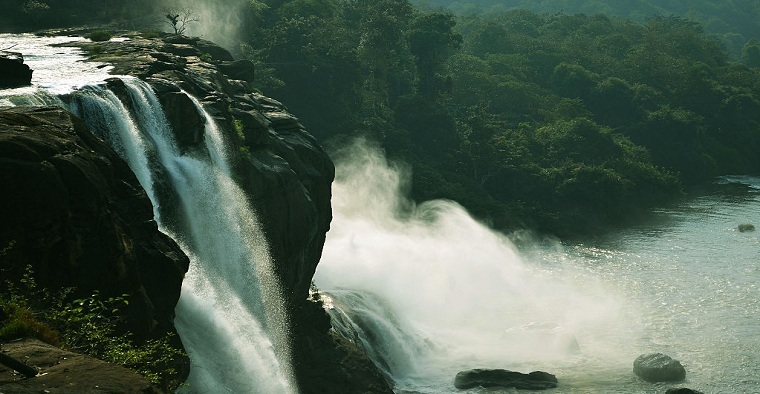 Recently, some scenes of a most renowned movie, named as Bahubali is directed on the Athirappilly Waterfalls. This movie is highly appreciated by the critics and viewers as well due to its outstanding scenes. Here we have listed 11 gorgeous waterfalls in Kerala. This is one of the most beautiful waterfalls in Kerala that offers magnificent views to its visitors. This scenic Thommankuthu waterfall is a seven step waterfall, located at 18 km from Thodupuzha. The commendable landscape views enable you to appraise this God’s own country and you will love to stay here for the long time. This is surely a visual treat for its visitors. The striking flora and fauna setting make this waterfall even more delighted. You must visit this beautiful and artistic creation of the God. This popular waterfall is situated about 10 km from Munnar, on the way to Rajamalai. This scenic waterfall is surrounded with lush green vegetation which looks awesome during the monsoon months, i.e. June to September. This is an ideal place for the fishing and trekking enthusiasts. It is a base camp for the trekking. Its astonishing tea gardens enable you to click beautiful pictures. The rich green forest of Nyayamkadu attracts visitors from all over the world. This snowflake look like waterfall is located at around 50kms away from Calicut. The rays of the beautiful sun are directly reflected to the water surface which gives an awesome scene to this waterfall. This cascading waterfall is certainly a pleasure to visit as it also offers everlasting scope for rock climbing and trekking. You can also enjoy the wildlife sanctuary visits. This gorgeous waterfall is considered as a proud of Kerala. When you visit this waterfall you will surely applaud for this ultimate creation of the God. Really, this is an awesome waterfall that caters beautiful valleys and amazing sights and sounds of the forests. 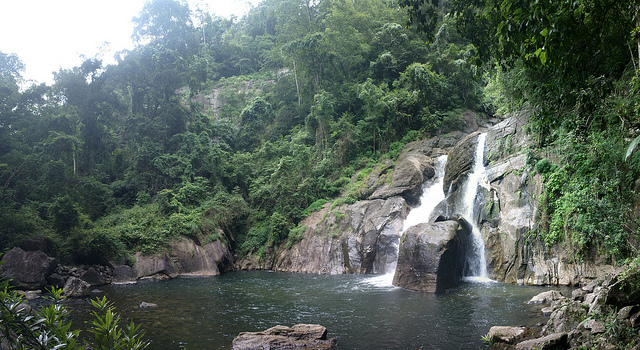 Meenmutty waterfall is a three-tiered waterfall, situated in Wayanad. This is a largest waterfall in Kerala, located on the west-flowing Chalakudy River. This is one of the most gorgeous waterfalls of this majestic state. Athirappily waterfall is also renowned as Suren Chellakutti Falls and nick named as The Niagara of India. The spectacular beauty of this waterfall mesmerizes its visitors so don’t forget to visit this amazing waterfall. According to some online sources blockbuster movie Baahubali’s some shooting sequences were shot here. Palaruvi called as a stream of milk, is a perfect picnic spot in Kerala, where you can enjoy trekking through forest to reach the waterfall. It is one of the most beautiful picturesque waterfalls of the state. The spellbinding beauty of this waterfall can be experienced with the mist-clad blue hills and the surrounded green valleys. Palaruvi is situated at about 75 kms from Kollam. 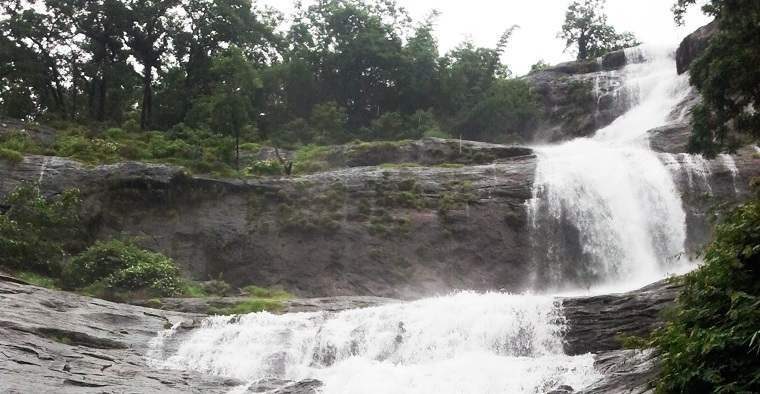 The tranquil virgin forest of Palaruvi waterfall gives many scenic views to its visitors. If you are in Munnar then you must visit Cheeyappara waterfalls. This is a famous tourist destination and highly known as Swiss of South India. It is located at the Kochi-Madurai highway. The amazing water cascades, dense forest, rolling hills, tea and coffee plantations make this destination even more cherishing. The best time to visit this waterfall during and after the monsoon months. This will be an ideal destination for the trekking lovers and mountaineers. Your trip to Cheeyappara waterfall will be really a feast for your eyes. 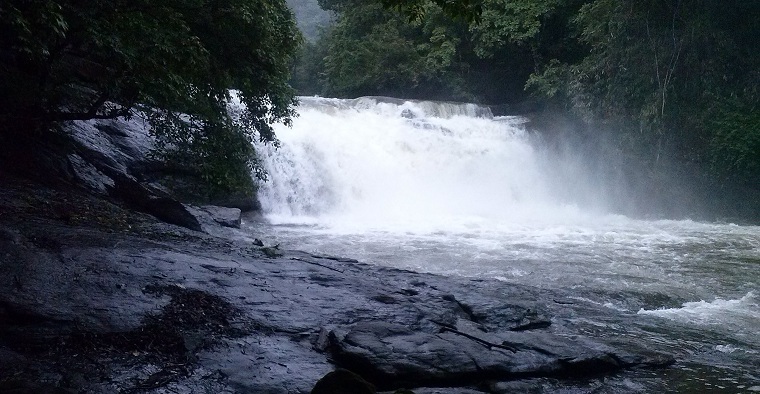 Mulamkuzhi waterfall is located in Mulamkuzhi village in the district Ernakulam. The crystal clear water of the Mulamkuzhi River is the origin point of this waterfall. The water of this waterfall is very clear and sweet and considered as medicated water. This enchanting sight is also considered as the meeting point of Periyar and Perumthode rivers. This amazing and mind-blowing waterfall will give you heavenly feeling that will stay long in your mind for sure. Really, it’s very hard to describe the beauty of Mulamkuzhi waterfall in some words; you must visit this destination while touring in Kerala. Srees Tours & Travels offers lowest priced kerala tour packages for Waterfalls, Houseboat, Hill Stations and many other Kerala destinations. 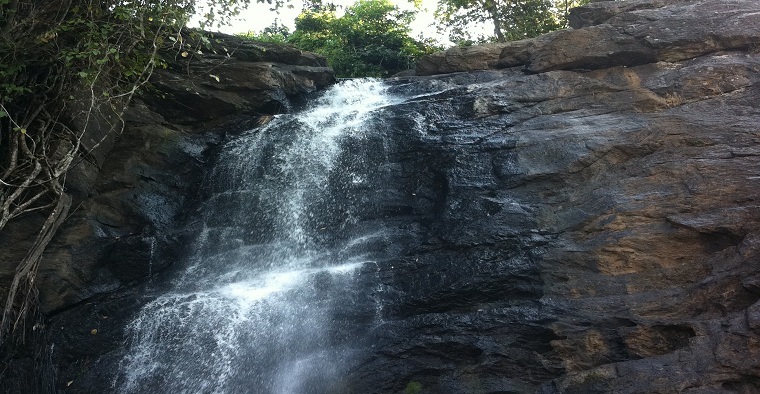 This small and lovely waterfall is located in a reserve forest area, near to the Palakkad town. Dhoni waterfall requires 3 hours trekking to reach through the forest. The refreshing beautiful surroundings of this waterfall give scenic views to its visitors. While trekking on the Dhoni hills, you can also experience some wildlife. The best time to visit this waterfall is just immediately after the monsoon. This waterfall is also renowned as Sentinel Rock Waterfalls. 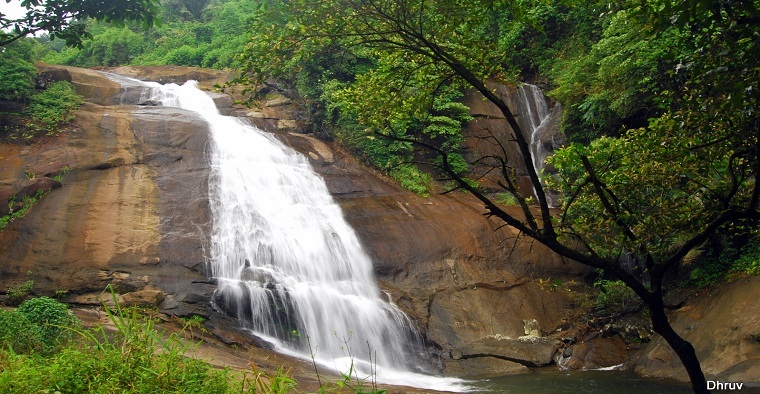 This three-tiered waterfall is located in Vellarimala, Wayanad and surrounded by the deciduous and evergreen forests. Soochipara offers so many scenic views and considered as an ideal destination for the rock climbing. This waterfall requires 2 kms trekking of dense forest. You will surely enjoy this spectacular waterfall. This fantastic waterfall is located on the banks of Pamba River about 36 kms from the Pathanamthitta district. This is a popular tourist destination and covers the same crowd of both domestic and foreign visitors. This waterfall is also renowned as The Great Honey Stream. This natural fall is balanced on the Sahyadri Range. It is a good picnic spot and ideal for photo shoots. This is a safer bathing spot as well, so if you would like to get enjoyable water dips then visit Perunthenaruvi Waterfall. These are fantastic waterfalls of the God’s own country, Kerala. 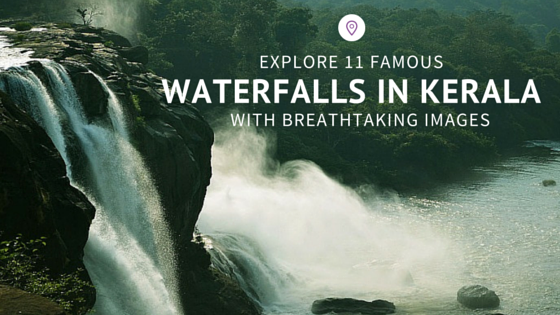 This list of stunning waterfalls will surely motivate you to plan your trip to Kerala. Though it’s difficult to visit all the waterfalls in your one trip but this list will certainly induce you plan your trip to Kerala again and again. Kerala is a place where you can cherish various amazing creations of God at each and every corner. Its heavenly beauty and peaceful environment bounds every visitor to stay here for the long time. So, plan your trip to Kerala waterfalls and enjoy the most wonderful time of the lifetime.